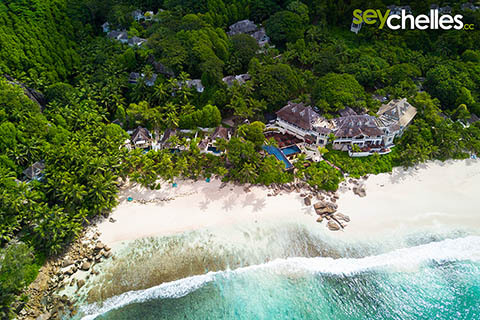 Beautiful Anse Intendence in the south of Mahé sure is one of the most impressive beaches of the Seychelles. Strangely it is never overpopulated even though it is easily accessible by car. Perhaps due to its wildness. Most people just come, take their pictures and leave again. There is a big enough parking ground and from there, it's only a few meters walk to the beach. The luxury Banyan Tree Resort is situated at the end of the beach. This amazing stretch of sand is about 1 km long and depending on the season and weather conditions about 30 to 40m wide. So there´s definitely enough place for everyone ;-). In the afternoon you can relax in the shade of the trees right at the "entrance" of the beach. You can walk all along the Anse Intendance, but the area behind the beach is the private property of the Banyan Tree Resort. 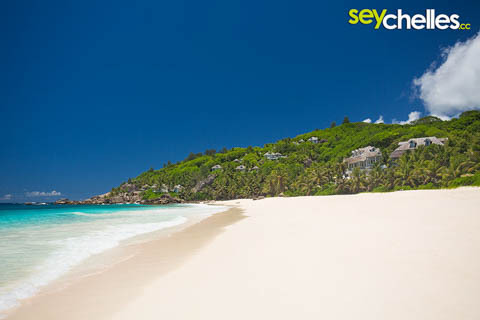 Like on many Seychelles beaches be careful of waves and currents. There might be a red flag on the beach to warn you that it´s too dangerous to swim, and there are even guards on duty at times. If the sea is calm and the waves are not too high, it´s easy to get into the water, but to be honest: on our many visits we have only experienced that one single time. Anse Intendance is usually not a place for relaxed swimming or a family excursion with small kids, but rather something for adults who want to play in high waves.